The Great Plains Food Bank is a proud member of Feeding America, the nation’s leading hunger-relief charity. Membership in this valuable resource means access to millions of pounds of surplus food and grocery donations from manufacturers and producers throughout the country. The Feeding America network includes more than 200 food banks nationwide. The Great Plains Food Bank works closely with our Feeding America counterparts in the region. Feeding America is the nation's largest charitable hunger-relief organization. 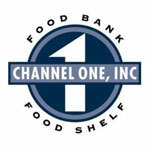 Channel One Food Bank was established in 1983 with the dual purpose to help feed hungry people and reduce food waste. Feed my people exists to feed hungry people, heighten awareness of the issues of hunger and poverty, and assist member hunger relief agencies in the distribution of food to people in need. Second Harvest Heartland supplies food pantries and other feeding programs for the needy with surplus and/or donated food. 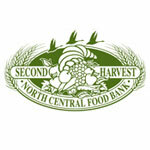 Second Harvest North Central Food Bank is a nonprofit agency distributing more than 3 million pounds of food products to 100 hunger relief agencies annually. 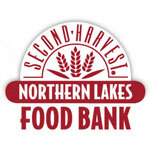 Second Harvest Northern Lakes Food Bank is a regionally supported, non-profit, hunger-relief organization with the purpose of rescuing and distributing donated food and grocery product to more than 143 charitable feeding programs and 40,000 in-need Northeastern Minnesota and Northwestern Wisconsin residents.